I have been a fan since the beginning of your career, since The Virgin Tour, but this is the first time I am writing to you. You haven’t needed my help until now. As a gay man in his mid-forties, there are only a couple things bigger in entertainment than the Madonna brand you have created—Barbra Streisand and the Broadway stage. This week you pooped on one of those things, and thankfully Babs was not your toilet, or I really would fear for you. The Streisand is very powerful. This open letter was initially intended as a defense for you. 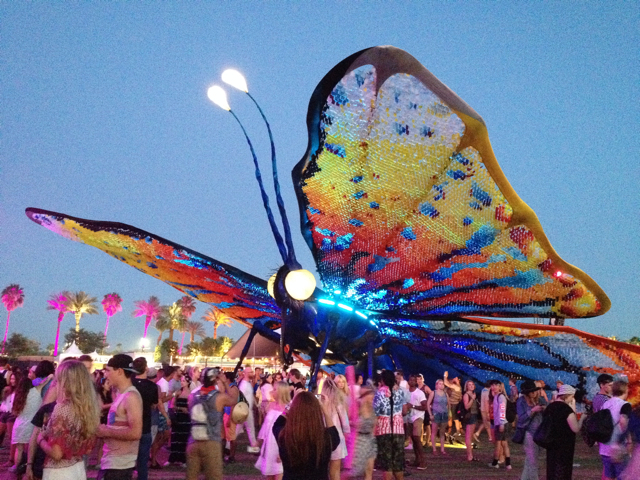 I was at Coachella. I saw you kiss Drake, and saw the repercussions — the blatant ageism streaming out of the media. I didn’t like it one bit. Your act hasn’t changed, and you are still an amazing performer doing fantastic work. You are still a vibrant sexual being, and if the kids don’t like it, then F them. In fact, you have done just that to many young men, and I say keep up the good work. Older male stars have been paired up with young ingénues for years, and nobody seems to care, but there is a double standard for women. That is just not fair. Then, this week you attended a performance of the musical Hamilton on Broadway and texted during the entire performance. Oh, hell no. Like I said, there are things bigger than you, and the Broadway stage is one of them. Regular people have to pay a lot of hard earned money to attend shows, and nobody gets the right to ruin their experiences. I would think a performer of your stature would respect any person on any stage, and I am very disappointed in you. You call yourself an artist. An artist holds a mirror up for society to see their reflection and learn something or be moved. You are too busy looking in the black mirror at yourself. That is called an egomaniac. Please note that I’m taking the time to write, because I believe there is still hope for you. Kanye is not getting a letter. First, you need to publicly apologize to Lin-Manuel Miranda, the cast and crew of Hamilton, and everyone in attendance. This will be difficult for you, because you think an apology shows weakness and have learned long ago to not apologize for your art. You never should apologize for your art, but you need to apologize for your bad behavior. You are not some Midwest tourist who never attends theater and doesn’t know better. You are an internationally traveled adult. Also, to be clear, do not post pictures of Margret Thatcher, give explanations and excuses, or deny that you did it. Social media is a two way street and we saw you. America loves a mea culpa, and Broadway deserves an apology. Next, you need to put down the phone. You actually have people that can hold that for you, or, you know, get a purse. If you watch and listen to the people around you, you will be a better human, and thusly a better artist. I know you’ll do the right thing, so don’t disappoint me. We’re ready to forgive you and move on to dancing. Thank you for the music, and you’re welcome for the advice.